This is one of my favorite basic chocolate cupcake recipes. These cupcakes use a generous amount of sour cream in them, which makes the cupcakes moist and tender. The tang from the sour cream also seems to ensure that the cupcakes taste chocolaty, without tasting overly sweet. The chocolate flavor comes from a lot of cocoa powder, adding flavor without adding any density, and again not making the cupcakes overly sweet. Adding a little bit of coffee doesn’t add a mocha or coffee flavor to the cake at all, it simply deepens the chocolate notes. This base is perfect for a sweet, chocolaty frosting. In this case, it’s a milk chocolate sour cream frosting that is both smooth and rich. Add the confectioners’ sugar in gradually when you make the frosting so it doesn’t become overly thick and maintains a nice, spreadable consistency. If you really want to take these over the top, thrown in a big handful of mini chocolate chips. They’re not going to dramatically change these cupcakes for the better, since they’re moist and have a great flavor on their own, but they will still sneak in a little bit of a extra chocolate punch with each bite. You can even sprinkle a few on top of the frosting as a decoration in lieu of regular sprinkles. You might want to have a second glass of milk handy if you take this route or risk chocolate overload! 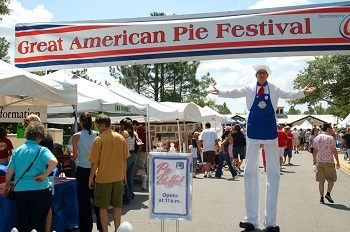 Next PostNext Win Tickets to the Great American Pie Festival! These look great. Is there any substitute for either the coffee or instant coffee? I’m just not a fan of coffee and don’t keep any in the house. The frosting looks so smooth and creamy! YUM! thanks also for the shout out in your previous post! I like the frosting, it does looks shinny and yummy! Karen and Amelia – The coffee doesn’t add any real flavor, just intensifies the cocoa notes of the chocolate cake. You can use water instead, if you don’t want to include any coffee! Sour cream chocolate cupcakes are my go-to cupcake recipe–I love the moist results! These look so lovely. They are iced to perfection. Beauties. I’m going to use this frosting on my next yellow cake. The frosting I’ve been using is great, but I do like sour cream. WOW, that frosting is mouth watering…. That REALLY looks good! we’re all drooling over here. Nic, these are luscious! What a wonderful way of using milk chocolate. I’d never heard of chocolate sour cream frosting until I tried one out recently and loved it. I’ll have to try this one too! Looking at the photo, i want to taste it. i made this frosting last night, and piled it on a banana bundt cake. it was excellent. Wonderful. WONDERFUL!!!! I just made these and got done adding the mini chips to the tops, since I figured why the heck not. WONDERFUL icing. Now i’m interested in those maple cupcakes 🙂 Happy holidays! I tried these a while ago and they were really good! thanks for sharing the recipe. My frosting, however, was not as pretty as yours. I think I won’t hand mix it next time. Good chocolate cupcake flavor, moist yet dense. Without the frosting it feels lacking but the frosting is what makes these cupcakes yummy. Thank you for your recipe. These are the best chocolate cupcakes I have ever made! They are about to be featured on my blog… Thanks so much! B – You can use water instead of coffee (since coffee is just flavored water) and get great results with this recipe! palemud blog » Look out Georgetown Cupcake!